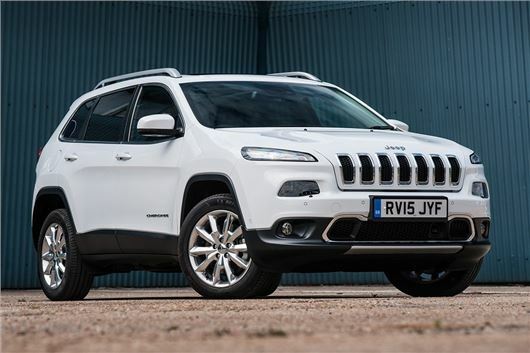 Jeep has added a new 2.2-litre diesel engine to the Cherokee range. Replacing the outgoing 2.0-litre 170PS engine, the new unit is available with either 185PS or 200PS and is only sold in combination with a nine-speed automatic transmission with all-wheel drive. Prices for the Cherokee equipped with new engine start at £30,030 and order books are open. In 185PS form the new engine can propel the Cherokee from 0-62mph in 8.8 seconds and on to a top speed of 127mph. Official economy is 49.6mpg and emissions are 150g/km. Fuel economy and emissions figures are the same for the 200PS version, but it is 0.3 seconds swifter from 0-62mph. Both versions have the same peak torque figure of 440Nm at 2500rpm. There is also third option, which pairs the 200PS engine with a low range version of the nine-speed gearbox. This layout has a strong focus on off-road ability. Top speed is 126mph, 0-62mph takes 8.7 seconds, economy is 46.3mpg and emissions are 160g/km.